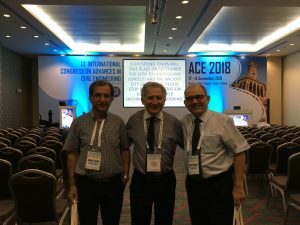 Prof. Dr. Zafer Bozkuş and Prof. Dr. İsmail Aydın attended the 13th International Congress on Advances in Civil Engineering, 12-14 September 2018, Çeşme-İzmir, Turkey. 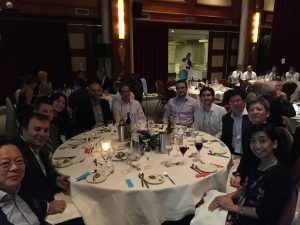 Dr. Elif Oğuz attended 20th International Ships and Offshore Structures Congress (ISSC 2018), 9-13 September 2018, Liege – Belgium & Delft – The Netherlands. She was appointed to an ISSC Specialist Committee on Offshore Renewable Energy for a duration of three years. 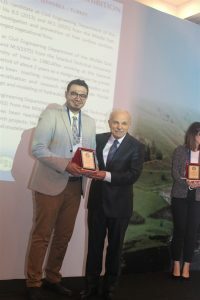 Research assistant Emre Haspolat attended 5th International Symposium on Dam Safety and Exhibition, 27 October-1 November 2018, Istanbul, Turkey. He received the best MSc thesis reward, with his MSc thesis entitled, “Determination of Critical Submergence Depth at Horizontal Intakes”.